Ain’t no such thing as the one perfect tone, son. 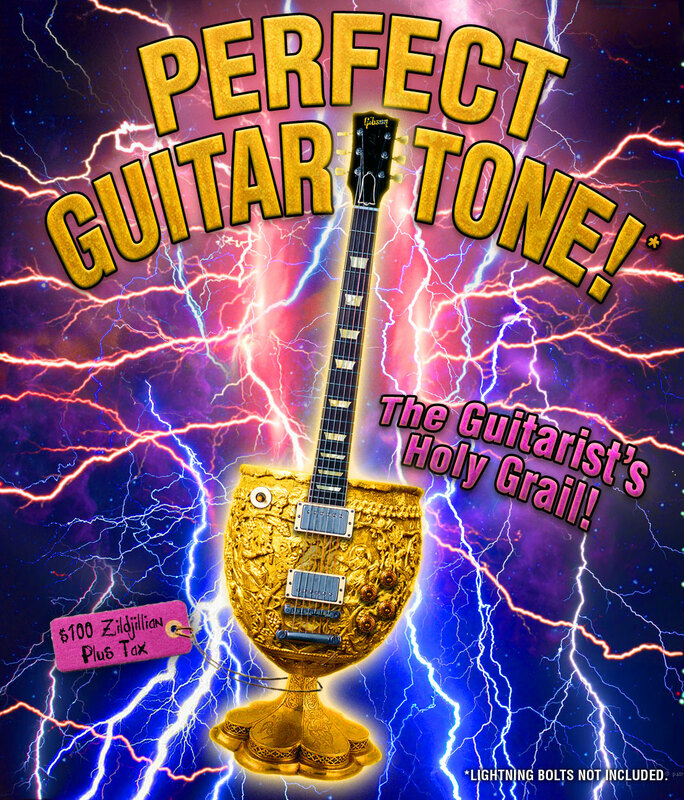 Stop chasing that non-existent guitar holy grail. Can I get it in tobacco sunburst? Perfect guitar tone does not exist. …at least not in a permanently defined state. It is always changing depending on context. There’s not a one-size-fits-all solution for guitar tone and the guy who is showing you exactly how to get “perfect” tone is either demonstrating his idea of a good sound for a very particular context or selling you something. Let the buyer beware! They have it right. It truly is the small stuff that matters. In fact, all these tiny details matter so much and there is such a vast quantity of them, that replicating such performances is nearly inconceivable. Every part of the signal chain plays a role – from player to instrument to amp to room to microphone to preamp and all the cables, power supplies, recording/storage media, surfaces, and recording/mixing/mastering engineers in between. Even weather, location, and moods can make a difference. Proper tone (the right tone at the right time) can be bought. You can pay for it with practice and critical listening. Good equipment is nice, but not necessary, as Jack White demonstrates so well in It Might Get Loud .